Frank Mulvhill and CEO Pieta House, Brian Higgins present the Amber flag to Eidin Dowling, Ms. Nolan and Maria Dwyer. 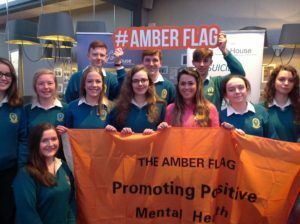 The Amber Flag was presented to Mercy Secondary School Mounthawk recognising our individual efforts to create healthy, inclusive school environment that supports mental wellbeing. The Pieta House Amber Flag initiative, now in its 4th year, recognises the individual efforts of schools, companies, and groups to create healthy, inclusive environments that support mental wellbeing.All groups receiving the Pieta House Amber Flag qualified for the award by hosting a mental health awareness event, a fundraiser, and a mental health initiative. 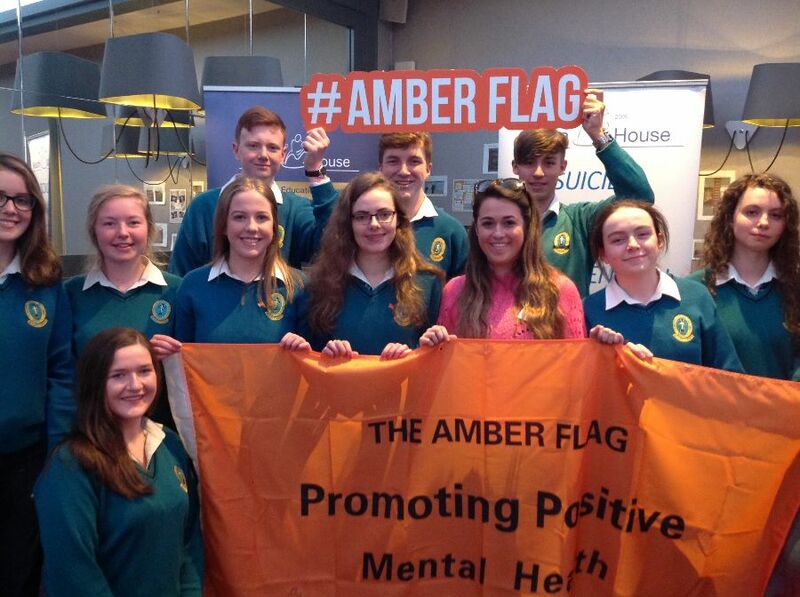 The programme encourages teamwork and student contributions, and works with school guidance counsellors to include a peer-support element.What the Amber Flag will do is acknowledge these efforts and unite all schools/clubs/societies/community groups in the promotion of “Positive Mental Health”. It becomes a daily topic of conversation leading to a cultural shift where mental health becomes “The Norm” leading to the breaking down of “Stigma” that is associated with mental health, resulting in individuals seeking help sooner, when mental health issues arise. support, reducing risk factors such as racism, bullying and isolation. 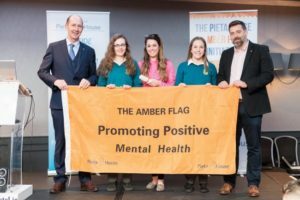 The culture shift in Mental Health can only become the norm when challenges like achieving the Amber Flag become recognised as a central programme of activity in schools/clubs and associations.